Great for chasing . . . though you most likely won't get it back. 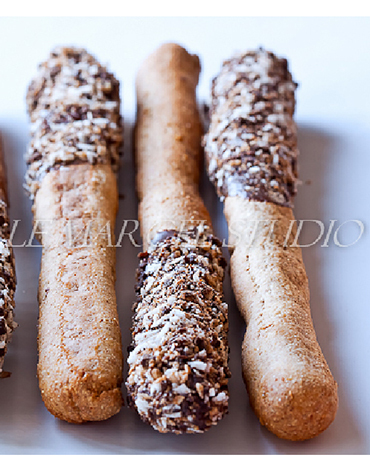 Our pretzel cookie has the kinks straightened out, dipped in carob, and rolled in our tri-sprinkle: carob, coconut, and peanut.